Sarah is a qualified professional accountant with over thirty years of experience in the voluntary sector both as senior management and a volunteer. Until 2015 she was the Deputy Chief Executive and Finance Director of the Wimbledon Guild, a local charity whose aim is to help local people by tackling poverty, supporting aging and mental well-being. 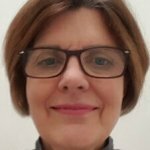 Now “semi-retired” Sarah is an accounting consultant for the Voluntary and Community Sector on all aspects of charity finance and some aspects of governance, human resource management and IT.